Gulfstream Hardscape is one of Florida's Premiere Hardscape installers, with over 20 years' experience in the hardscape business, Paul Engel & Gulfstream Hardscape holds the title of "Master Craftsman", Awarded by Belgard Hardscape and is just one of two installers to be placed on this list out of thousands of installers around the country. Gulfstream Hardscape is pleased to have partnered up with one of the country's largest and cutting-edge hardscape manufacturers. Along with the distinctive title of "Master Craftsman", we offer a 5 year warranty standard on all interlocking paver installations; we only install per ICPI or (Interlocking Concrete Paver Institute) standards and best practices. Trained and versed in all types of paving, retaining walls, water permeable pavers, maintenance, new and remodeling, Gulfstream Hardscape looks forward to adding you and your project to our extensive list of clientele. 4Pavers.net is licensed, bonded and insured. We’ve served Florida by holding to the principal that quality, craftsmanship and honesty are never compromised for profit. We provide bids through Architects and Engineers, work directly with home owners and offer IN HOUSE design and build services for residential & commercial projects. 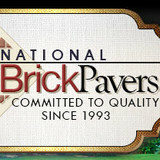 Paver Man Florida Inc is a masonry contractor / mason serving the Delray Beach, FL area since 2001. Services include Mason, Pavers, Driveway, Patio and Travertine Pavers. From the initial Contact to the installation in your home or Business, you won't find a company more committed to Your Satisfaction. 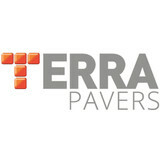 With the only way to do Business ( the Right Way) Paver Concepts is Ready for You and Your Project. Being a Young Entrepreneur, Vinny Lacerda is 100 % committed to Succeeding in the Business, and the only way to Achieve our goals, is taking care of our Clients and insuring they are completely satisfied with the finished project. Not only That, Having the experience in this field for more than 5 Years, We know the proper steps that need to be followed to ensure the perfect finished project for you. We will be there guiding you through each step from the Price point to the Material selection, Color selection, Pattern and etc.. We guarantee your satisfaction every step of the way. When you have questions, our trained, professional, and well-groomed staff is always ready to help. Don't trust your loved Property with any one! Choose the Best in the Business, Choose PAVER CONCEPTS. We provide paver cleaning, paver restoration, sealing, and repairs. As the leading Granite Stone paving dealer in the U.S, we carefully select our stones based on their beauty and durability. Our granite cobblestones, granite pavers, porphyry pavers, mesh cobblestones, and basalt pavers will help turn your thoughts into expressions. Parking Lot Pavement LLC prides itself on being the go-to choice for clients looking for Line Striping, Seal Coating Service and Concrete Trip Hazard services. From installation to repair, Jupiter, FL driveway contractors are responsible for a variety of planning, installation, construction and driveway maintenance services. Driveway materials. While most driveway contractors in Jupiter, FL primarily work with asphalt, they are also experts on the wide range of available driveway materials. If you are looking for something different than a standard asphalt driveway, your pro can help you select driveway pavers or customize a brick driveway design. A driveway installation and maintenance professional may work closely with a Jupiter, FL builder, landscape professional or various manufacturers and suppliers. 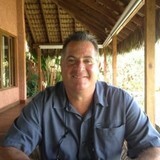 Find a Jupiter, FL driveway installation and maintenance professional on Houzz. Narrow your search in the Professionals section of the website to Jupiter, FL driveway installation and maintenance. 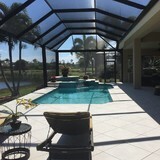 You may also look through Jupiter, FL photos to find examples of driveways that you like, then contact the professional or contractor who worked on them.